Cashfloat and Callcredit collaborate to provide responsible payday loans in the UK. 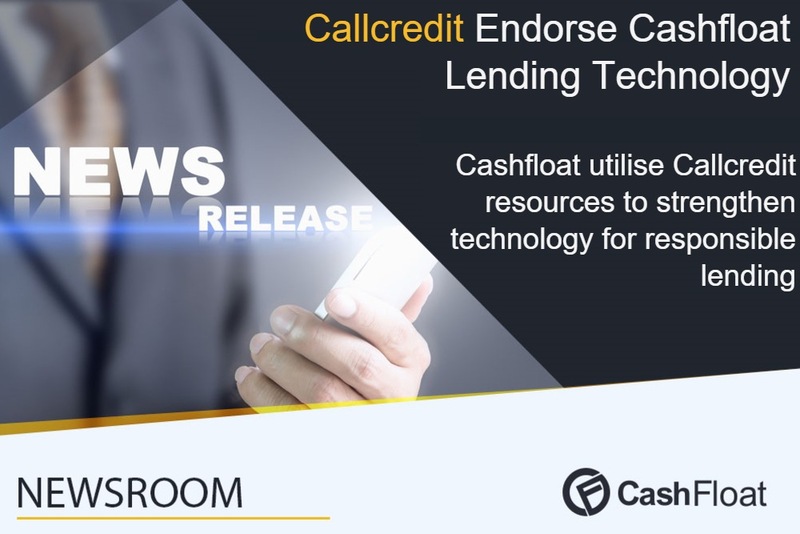 LONDON–(Callcredit)—Callcredit Information Group today announces it has extended its partnership contract to provide credit risk, affordability and fraud prevention solutions to specialist lender Cashfloat. As part of the extended partnership Cashfloat will be trialling a number of additional fraud solutions focused on digital channels such as email, phone and device identification. Callcredit has worked with Cashfloat, a short term loan provider, since it launched in 2014 and has helped the business provide responsible lending to over 14,000 consumers in the last two years. Cashfloat is able to provide its customers loans suitable to them via a fully automated online application process, which also provides the lender with the confidence it is making better informed lending decisions whilst meeting regulation. With the use of real-time credit risk reporting, fraud and verification data and income and affordability information, Cashfloat is able to asses if a consumer is who they say they are, able to afford a loan and any associated risk to providing a loan. With the use of Callcredit’s income and affordability data, Cashfloat has gone one step further to helping ensure they only provide a loan to those that can afford credit and created their own bespoke affordability matrix. With the increasing usage of digital channels becoming the consumer’s channel of choice for interacting with businesses, to further help Cashfloat enhance its fraud detection across the customer lifecycle, the UK payday loans lender is also trialling Callcredit’s MobileRisk and EmailRisk solutions.